This kit includes all of the parts needed to build the GuitarPCB ToneTwEQ Equalizer project. This circuit provides knobs for highs, mids and lows, giving you incredible control over your tone. 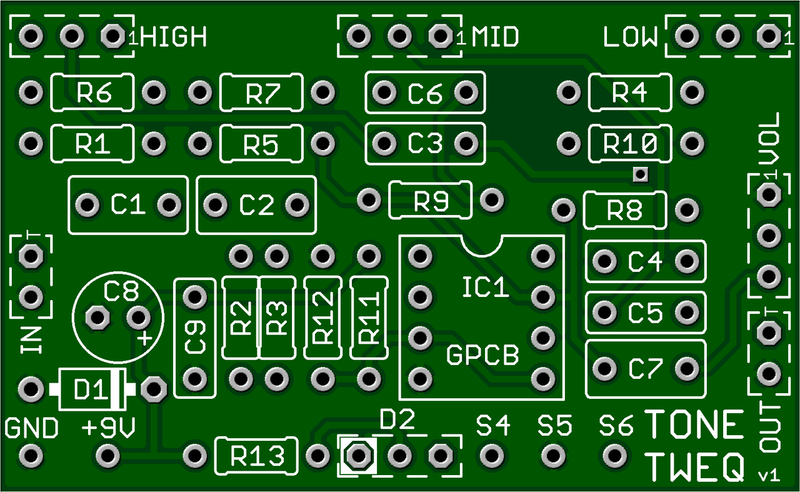 Two commercial products came to market just months after this project was offered by GuitarPCB.com. Coincidence? It's hard to say for sure. If you're looking for more control of your tone, this kit is for you. This kit includes a 125B enclosure and Davies 1510-style knobs. Check out this video demo by Barry at GuitarPCB.com!